Yeah!!! I love these releases! So many pretty cards - love them all. dies and must put those on my wish list. Wow! All of these cars are great but I can't resist that birthday bus card. Absolutely adorable. Love this release! The Stars frame is probably my favorite..so many possibilities!! The release and all of these cards are so fun! 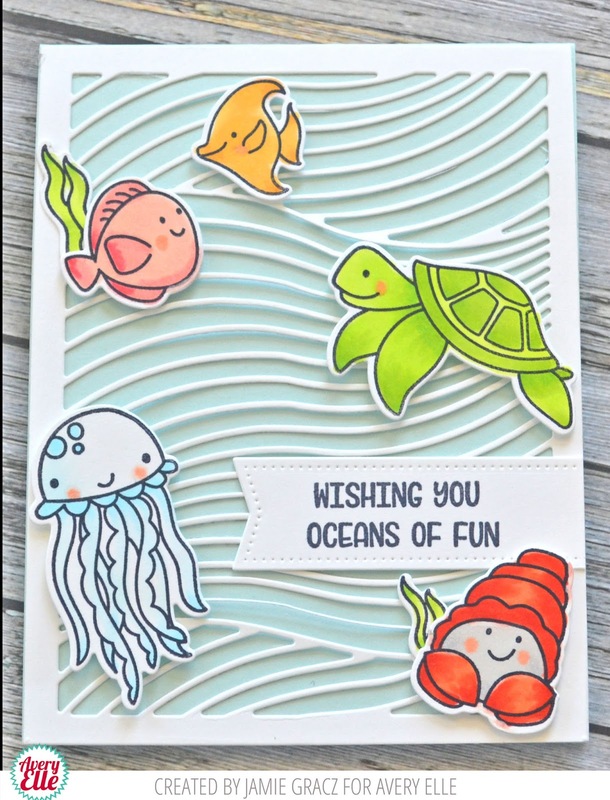 At the top of my list are the critters in the van, the wavy die, and the little beach scene stamps. 1. Oh my goodness! Stunning release!!! I can feel the summer vibes!!! Love, love, love all these new sets!!! As usual, the design team makes me want it all! The diagonal stripes die and birthday bus are favorites. WOW Jamie, you have been having F-U-N!!!! Love it all but the Floral Bouquet stamps and die set is AWESOME! I follow on fb and share with my friends. I already belong to the Flicker group. This release looks fantastic! Can't wait to see more. 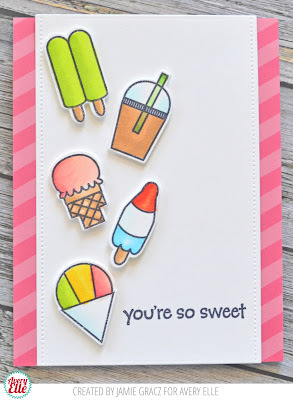 Oh, so many cute stamps and terrific dies. I'm such a fan! i love that waves die! I love the new Waves die. The "shut the front door" sentiment cracked me up. Fabulous inspiration samples. I joined your Flickr group already. I follow your blog via email also. 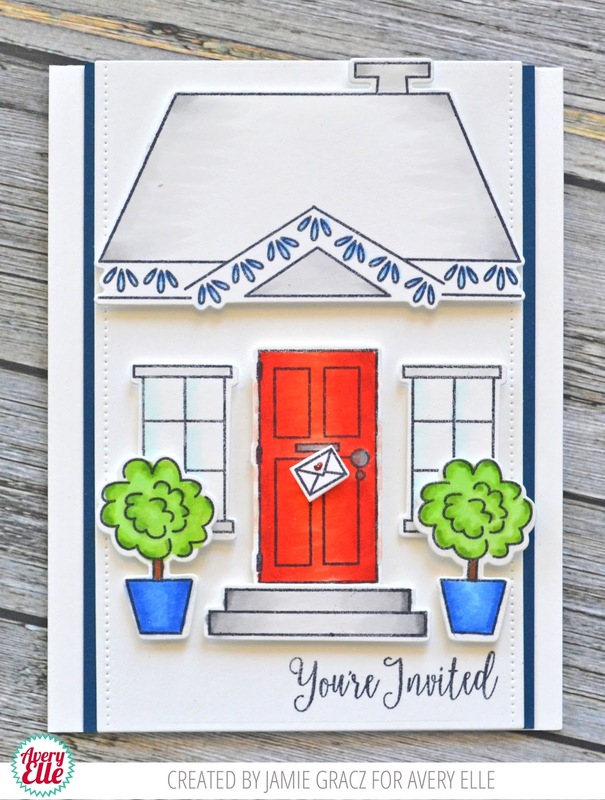 As I scrolled down through all the projects all I could say is, I want that stamp set, I want that die, oh, and I want that one too. Wonderful release. 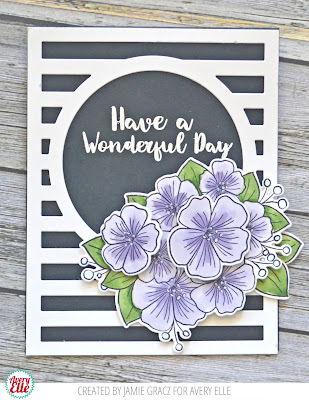 I am loving these new releases, especially the Floral Bouquet stamps & the stripey dies - just fabulous! Would be great to win something...thank you for the opportunity. I'm a follower on Pinterest as Kleri Fragkopoulou. 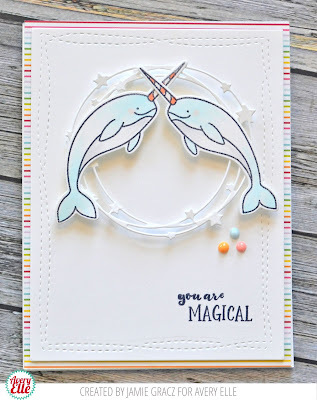 I love all these beautiful and colorful cards! 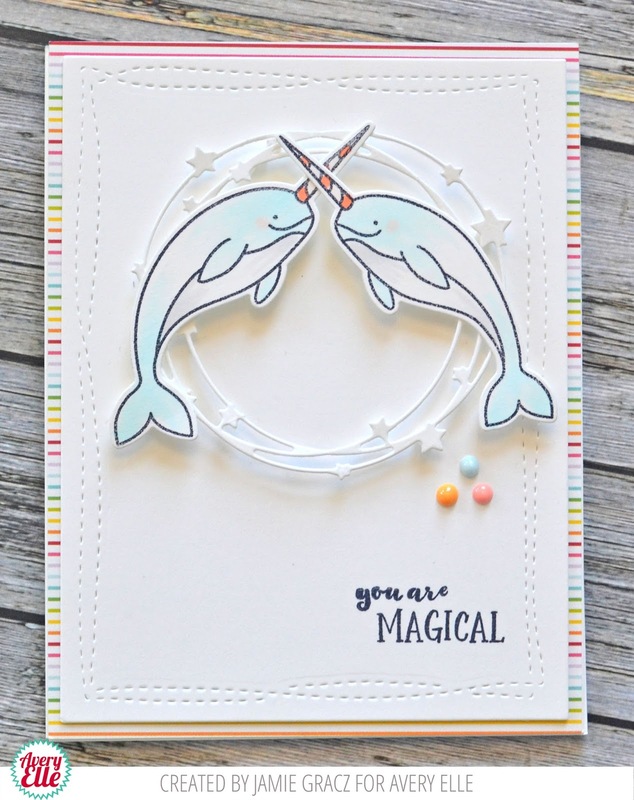 This new release is so fun and whimsical! Adorable! I love all the new background dies especially the waves one. I LOVE LOVE LOVE the AMAZING Release!! Such SWEET Inspiration too!! The summer heat is so much bearable when I know I can create a cute summery card with an Avery Elle design. 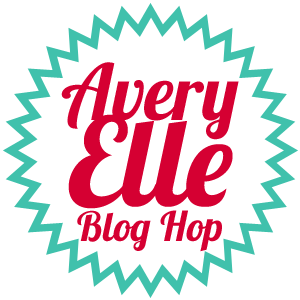 Once again, y'all did not disappoint with this release😊One of my fav ways to stay in touch with Avery Elle is by following your blog, & on FB. I'm a part of Flickr Group!! Great new release! I love all the background dies and the star and heart frame dies. The possibilities are endless!! Thanks Avery Elle!! I follow you on Pinterest, Facebook, and your blog. The new dies & stamps are great. I especially like the background dies. One of my favorite release Said! 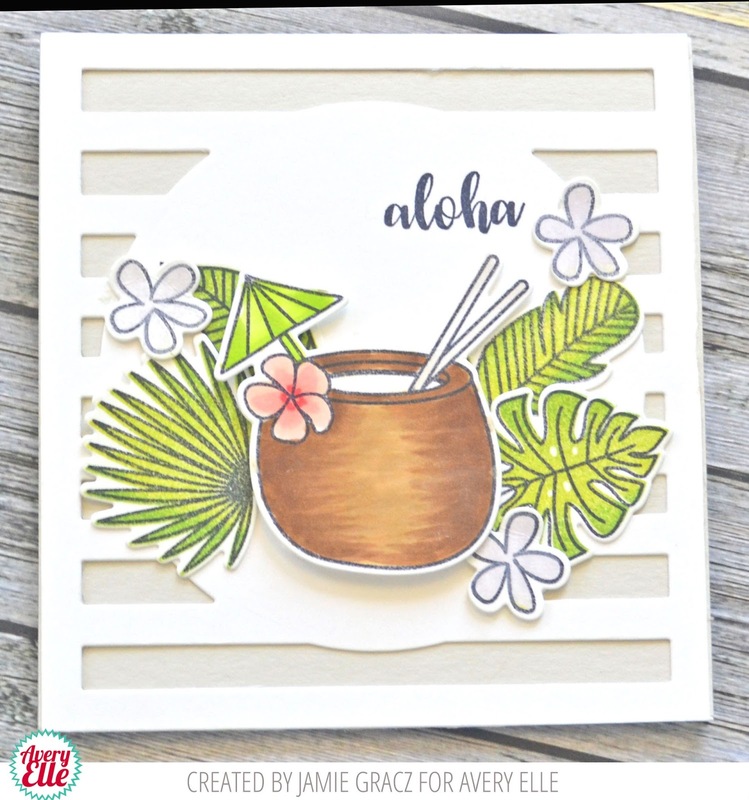 Love the background dies for sure! I'm part of your Flickr group! Such inspiration! And such a great release! 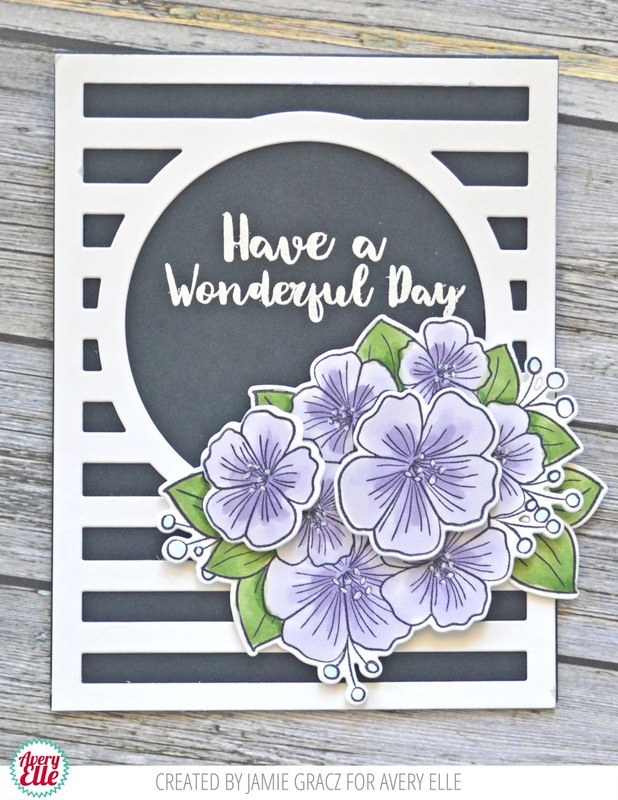 I am in love with the horizontal and diagonal stripes dies, floral bouquet stamp set and bubbles stamp set. Oh my goodness, love this release! 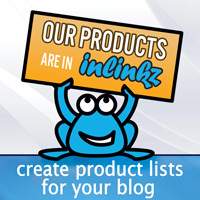 These new products are amazing!! I love the cover dies. So fun! So much potential! Un petit commentaire de France pour participer à votre tirage au sort et féliciter toutes vos réalisatrices ! I'm a blog follower. 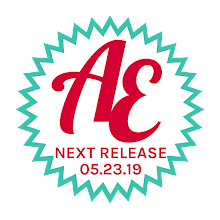 Lots of fun stuff in this release. Looking forward to seeing what the DT did with this great release. What a great release. 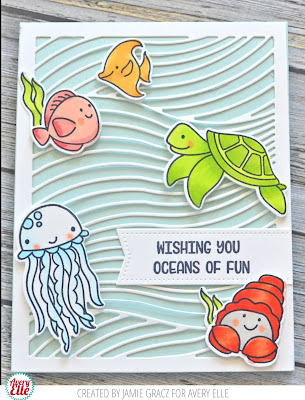 Those "sea creatures" on the first card are precious. They'd make great cards for my grandchildren. 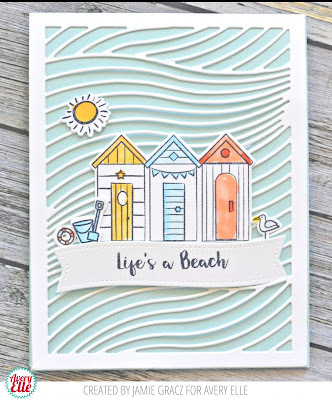 Some great product this month, I really love the beach huts and the and the dies to make the house. Lovely release! 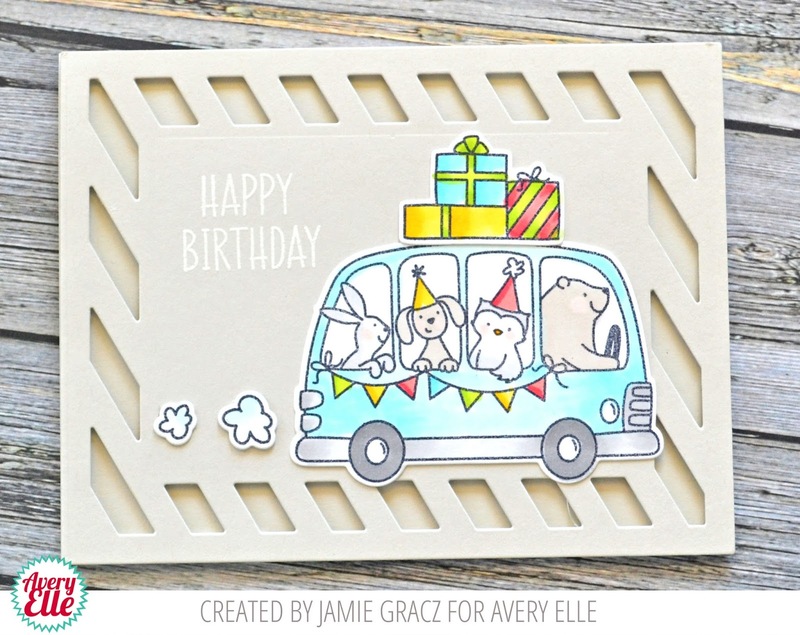 I love the heart and star frame dies and the birthday bus set is so fun! What an awesome release! 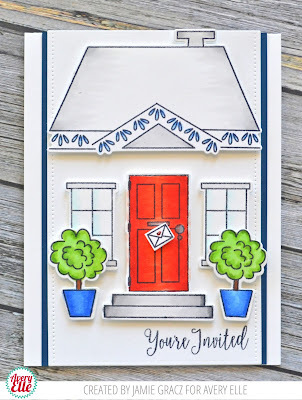 Fabulous stamps and dies, and inspiring samples! Liked and shared on FB also! 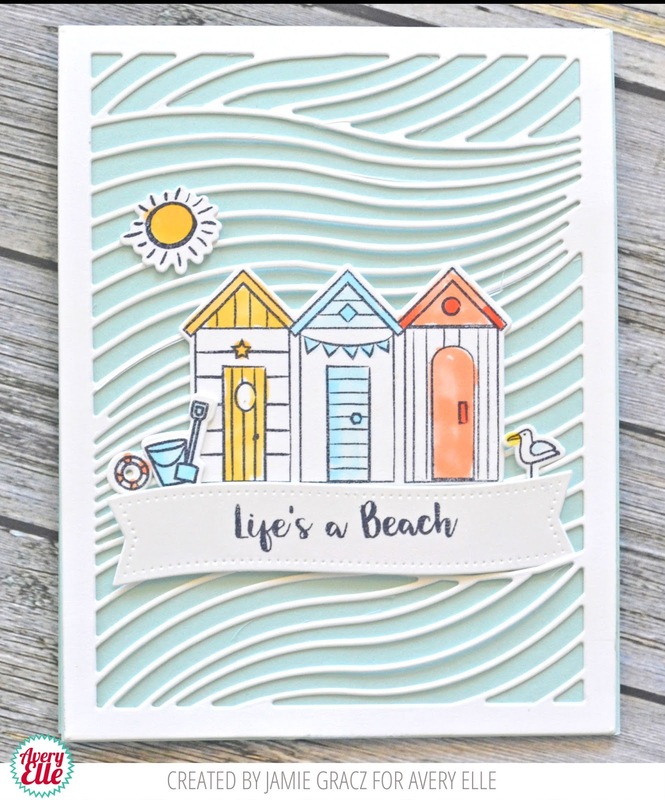 Love these new releases - especially the Birthday Buss and Beside the Sea! 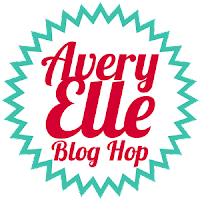 Tweeted, following on Pinterest and subscribed to the blog via email too! Such a fun release, love all the inspiration!! 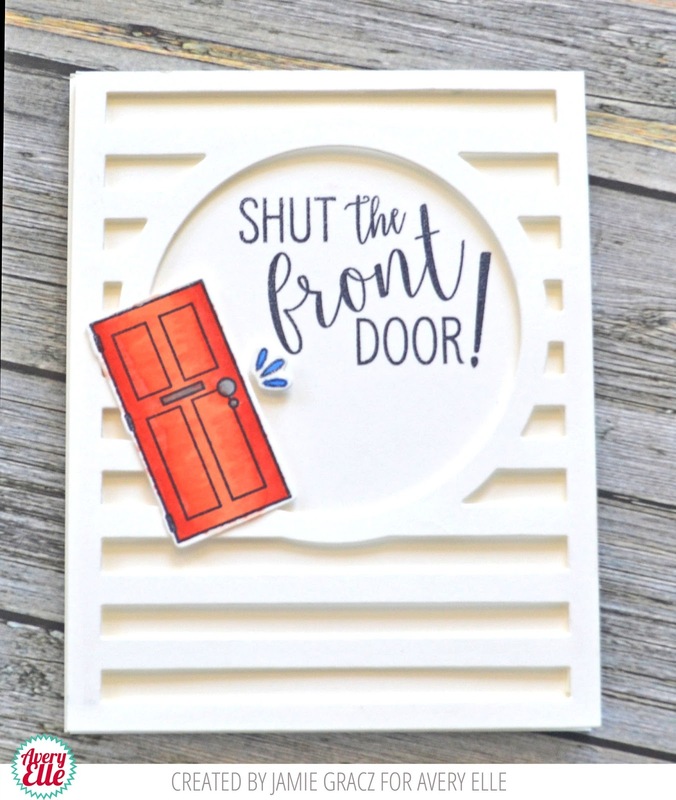 What fun and clever new products!! So many amazing ideas here!! 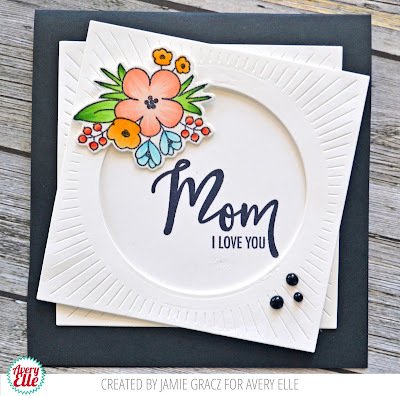 Love all of Jamie's work!